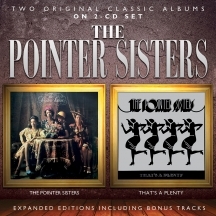 Expanded editions of the first two classic albums by the legendary Pointer Sisterswith bonus tracks (single edits of charted singles from each LP) a vivid reminder of the original quartet's unique sound and style, prior to their global success of the '80s as dance and pop hitmakers. By the time they signed to US West Coast boutique label Blue Thumb, the Oakland, California quartet of sisters - Anita, Bonnie, June and Bonnie - had begun their journey from the church where their father was a pastor to backup vocalists for diverse artist such as Elvin Bishop, Cold Blood and Taj Mahal. A brief stint at Atlantic Records where they cut a couple of singles preceded the recording of their self-titled debut, produced by David Rubinson in San Francisco. 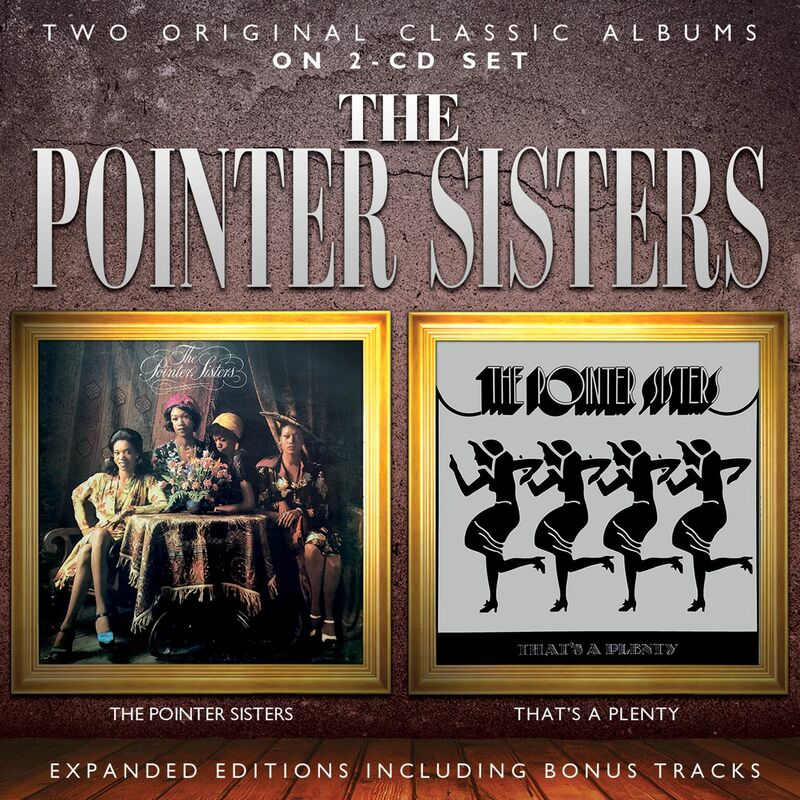 With its heady mixture of swingin' jazz pieces ('Cloudburst', 'Jada'), gospel-flavoured blues ('River Boulevard') and covers of Koko Taylor's 'Wang Dang Doodle' and the Lee Dorsey, Allen Toussaint-penned, 'Yes We Can Can' (a US top 20 pop and R&B hit), THE POINTER SISTERS became one of 1973's best-selling gold-certified albums, showcasing the family group's imaginative harmonies, with cover art depicting the quartet in '40s-styled garb. 1974's THAT'S A PLENTY (another gold album) was equally eclectic in regards its song selection, from the fast-and-furious 'Salt Peanuts' (a Dizzy Gillespie piece) to the head-boppin' blues 'Grinning In Your Face' (with a young Bonnie Raitt on guitar), on to bluesy torch song, 'Black Coffee', a revival of 'Steam Heat' and the Gamble & Huff-co-penned R&B, 'Love In Them There Hills'. The single 'Fairytale' became a US Top 20 pop and a Top 40 country hit, and winning the quartet their first Grammy Award (for 'Best Country Performance'). That's A Plenty / Surfeit, U.S.A.